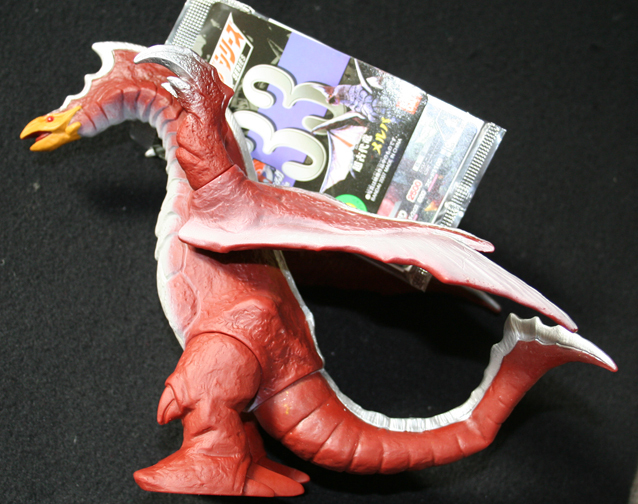 Sold - New repaint version of kaiju melba from Ultraman Tiga. Nice bird like kaiju ! About 6 inches tall, soft vinyl with collectors card.